A woman searches for sounds in an abandoned building. 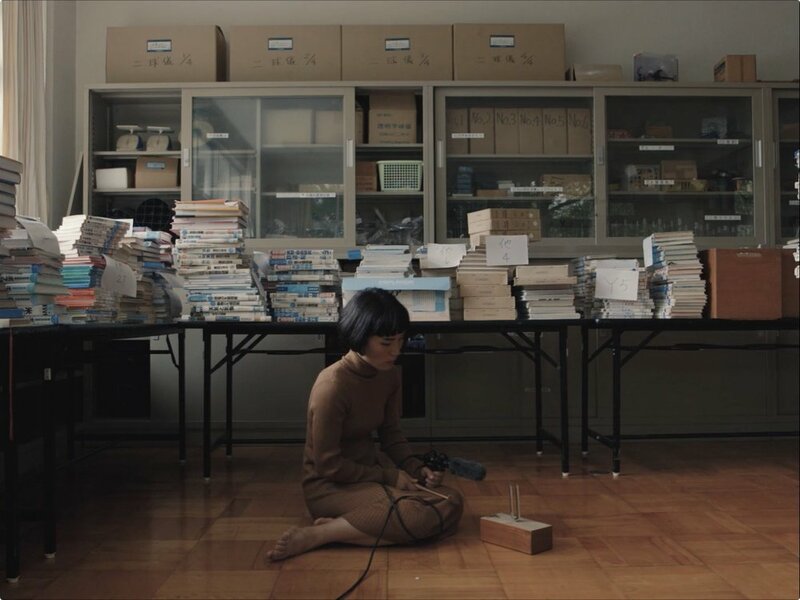 This stylish experimental film about noise and movement, made by Masumi Saito and Guy Wigmore, is filled with stunning natural light images, and the entrancing presence of Saito. We watch as she climbs in lockers, flops around on a hardwood gym floor, plays a drum on her head. The first stage is exploratory, listening for the unique sounds of a book being flipped through, or an old keyboard being typed on. And then she brings out the microphone to attempt to capture the sounds, even when it doesn’t seem to have one, as when she points the mic at an illustration of the human body. There’s a subtle sense of humor running throughout merging seamlessly with its sense of curiosity and gracefulness. “Disintegration,” was created for a short film competition designed by the Japanese composer, Ryuichi Sakamoto, calling for visual pieces using his composition. It didn’t win, but the film stands on its own as a hypnotic piece, and as a vivid showcase for Saito. (6 minutes). Directed by Masumi Saito (masumisaito.com) and Guy Wigmore (iamguy.co.uk).